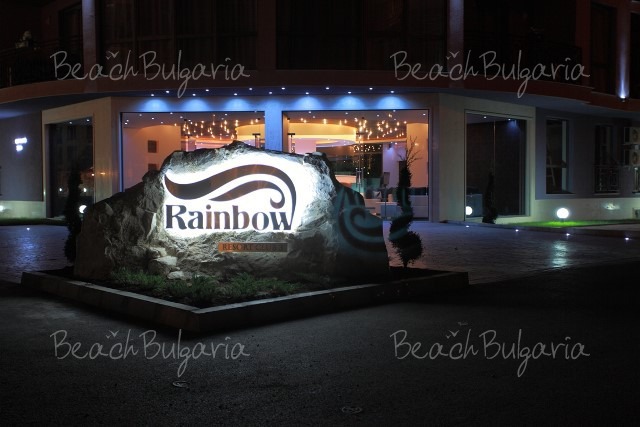 Rainbow 3 hotel complex is situated close to the beach in the southern part of Sunny Beach resort, at 15 minutes walking distance from center of the resort. The close vicinity of main roads ensures easy servicing of the complex. The Bourgas Airport is at 25 minutes driving distance from the complex. 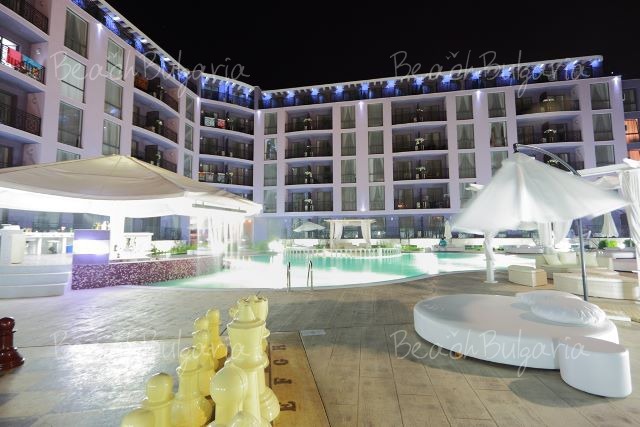 The Rainbow Resort consists of 4 complexes – Rainbow 1, Rainbow 2, Rainbow 3 and Sea Isle with 500 double rooms, studios, 1-bedroom and 2-bedroom suites. Rainbow 3 Resort Club includes 150 suites with bathrooms, satellite TV, air-conditioner, kitchen and balconies. 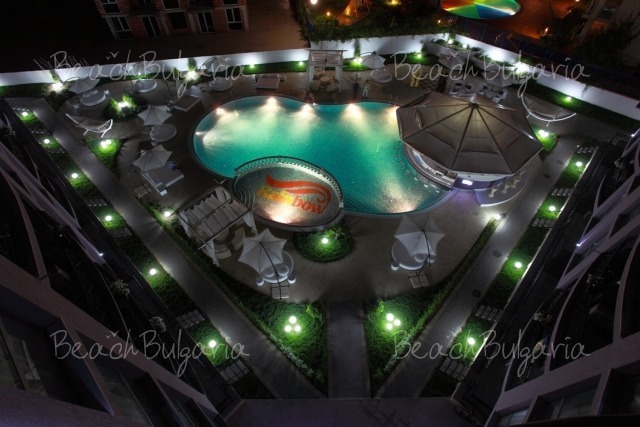 The outside barbecue with approximately 120 seats and Bulgarian cuisine is located between Rainbow 1 and Rainbow 2 holiday complexes. 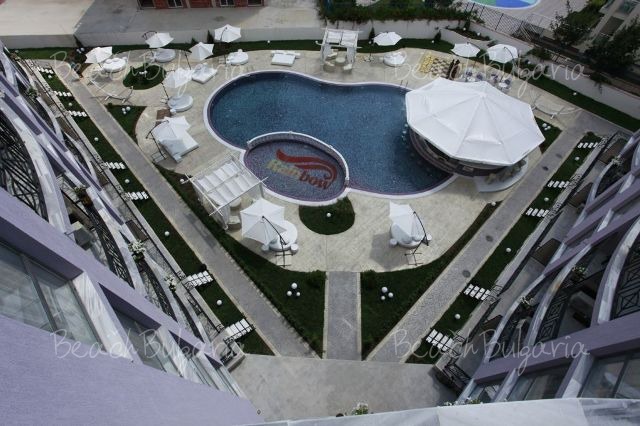 There are lobby bars in each holiday complexes of Rainbow resort. 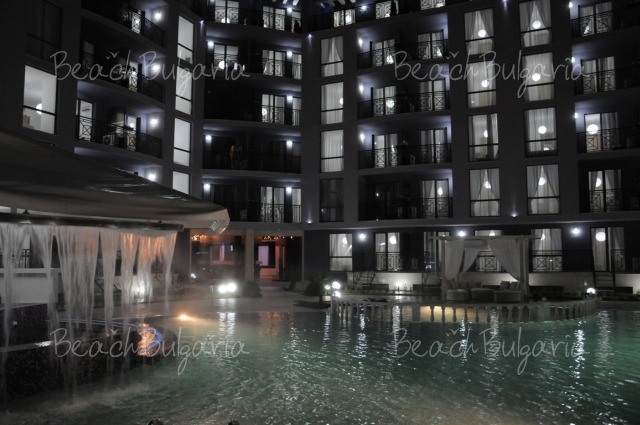 The complex offers three pools, underground parking, fitness, sauna, shops, security. 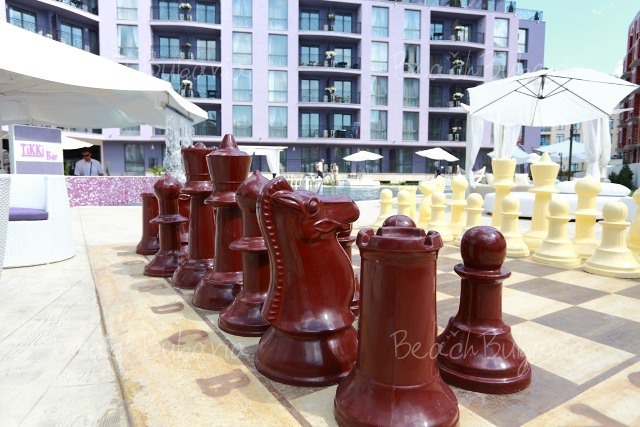 Rainbow resort offers a mini golf and a big chess. Tennis, basketball, volleyball, horse riding, aerobics, water ski, windsurfing and diving are available close to the complex. The complex offers rent a bike, bird watching, fishing, excursion by helicopter. The prices are in euro per room per night, no meal included. * Maximum capacity: Double room - 2 adults; Studio - 2 adults + 1 child or 3 adlults; 1-bedroom apartment: 2 adults + 2 children or 3 adlults; 2-bedroom apartment - 4 adults + 1 child or 5 adults. * Cancellations can be made free of charge providing details of this are received at least 7 days prior to check-in time on the day of arrival and 10 days during 05 July - 22 August 2018 - cancellations made after this period will incur a fee equivalent to the cost of 3 night's accommodation. Please, post a comment on Rainbow 3 Complex .